Gangs identify themselves to other members, rival gangs and the public by patches, colours, insignia and salutes. 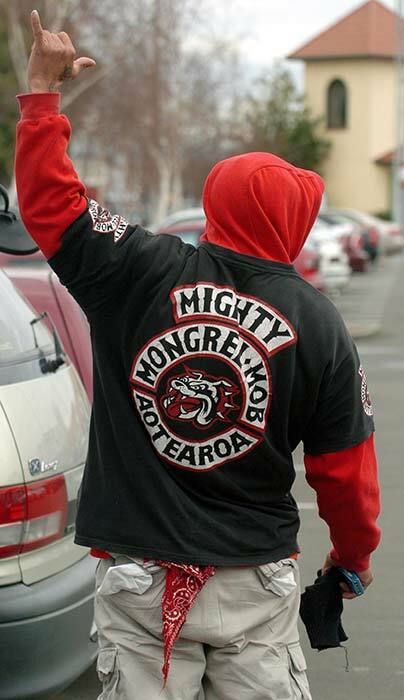 The Mongrel Mob's colour is red. Facial and body tattoos of insignia are also common. All mob patches feature some version of the gang's symbol, the bulldog, often wearing a studded collar.